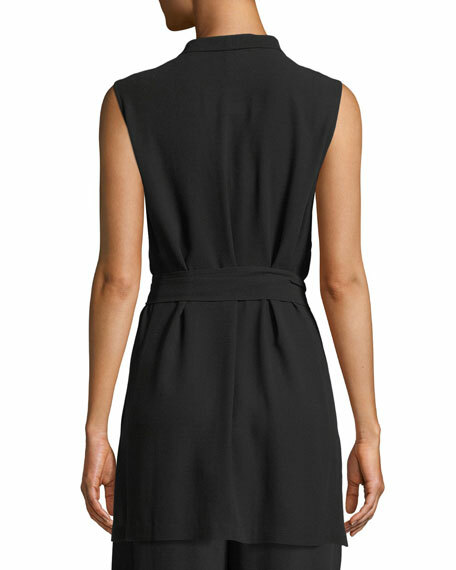 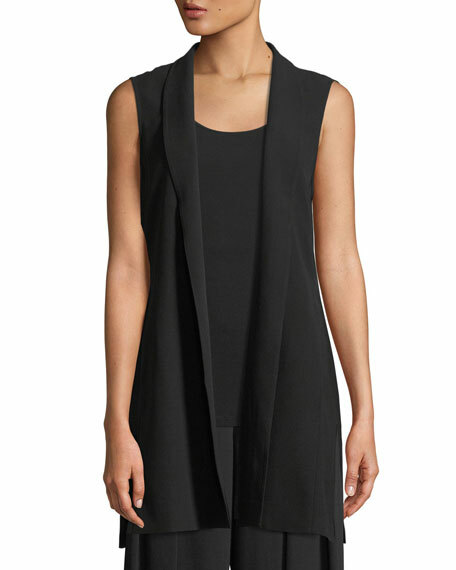 Eileen Fisher vest in georgette crepe. 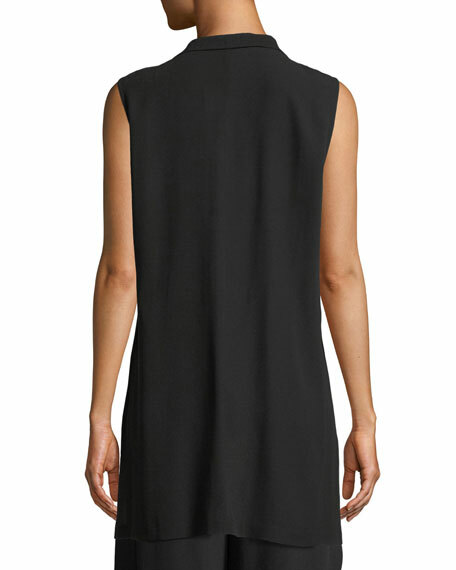 High collar may be folded down; open front. 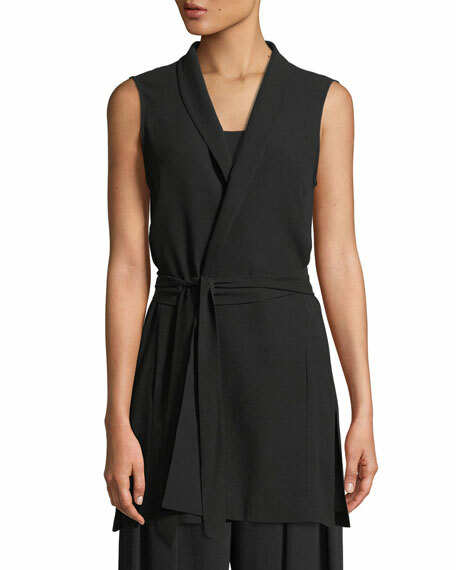 For in-store inquiries, use sku #2501099.